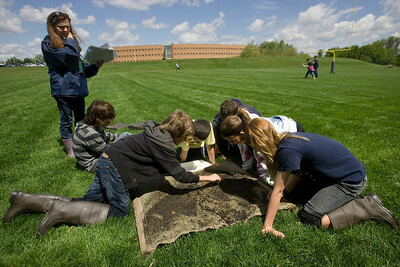 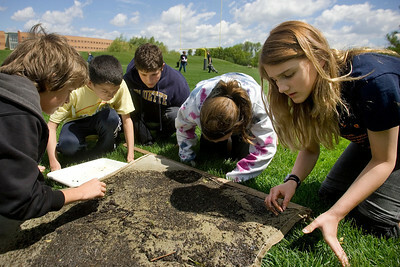 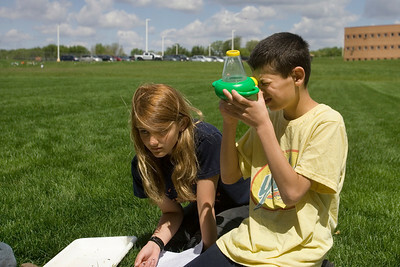 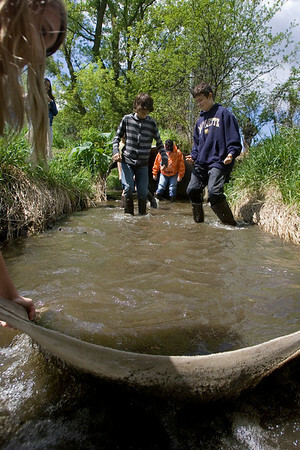 Hannah Beardsley Middle School student Ashley Andrey (right) and her classmates search through a silt screen collected in a stream behind Prairie Ridge High School looking for critters present in the waterbed Tuesday, May 8, 2012 in Crystal Lake. 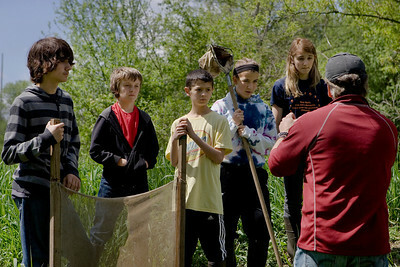 The event, organized by seventh grade biology teacher Carol Sevrey and Friends of the Fox, gave students a chance to gain hands-on experience and apply skills learned in the classroom. 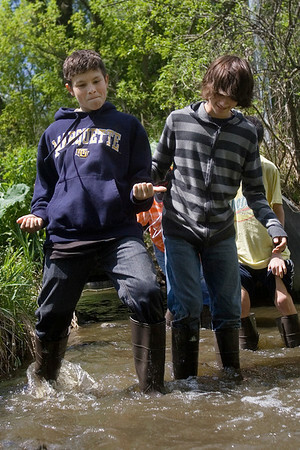 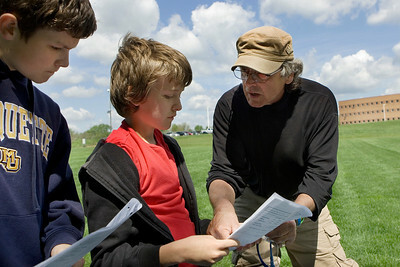 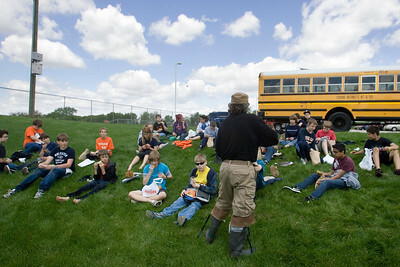 Students at the event measured the physical, chemical, and biological conditions at sites along the stream, with results aiding research by Friends of the Fox.